We love that you did this because it proved how varied classifying genres really is. If these posts taught us anything, it's that genres are far from "black & white" which leads us to our next discussion post, "Classifying Genres Part 2: The Crossovers". Ok, it's about to get serious! If classifying genres isn't confusing enough, let's muddle it up some more but trying to classify the crossovers. Ya know, those books that fit into not just one, but TWO or more categories. Here is where my head goes all Beetlejuice! Let's start with the easy ones, the YA crossovers. For the sake of simplicity, we'll just say that YA is any book where our protagonist is a teenager and the book is aimed at the adolescent market. Since YA is such a broad category, it stands to reason that we'll have a great variety of sub-genres within YA: Contemporary YA, Teen Romance, Paranormal YA, Fantasy YA, etc. 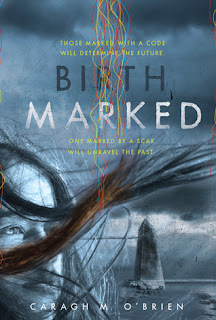 Enter YA Historical Fiction and YA Horror and that's where I have to stop and think. Here's an example of a YA Historical Fiction in which I was torn whether to categorize as either YA OR Historical Fiction. 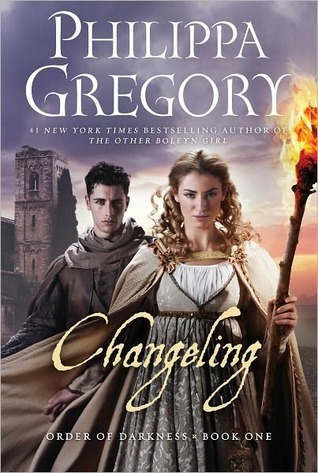 In our New Release post, I filed it as a Historical Fiction because that was my first reaction to it when I saw the cover and read the blurb. In addition, Philippa Gregory is a known Historical Fiction writer. However, I was "corrected" and told that it was actually a YA. Well, both are correct so I guess it's really up to us decide if it's a YA first or Historical Fiction first. Tidbit: If you go to B&N, you'll find this book in the Teen section. In Goodreads, though, more people have filed this book as a Historical Fiction than YA. 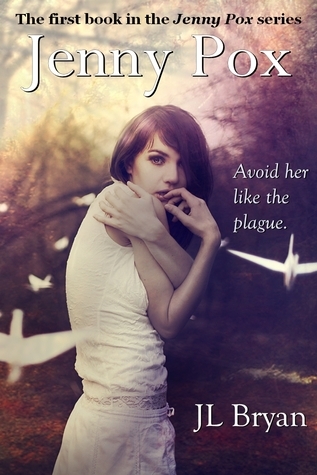 Jenny Pox by JL Bryan is a good example of what I consider a YA Horror. Jenny is a teenager as well as her love interest and the villain. What makes this book horror are some of the intense and graphic scenes in the book. There's an especially mature sexual scene as well as some pretty gory scenes that I would not suggest a 15 year old read. In my opinion, this book is more appropriate for older teens and beyond which begs the question "Is "Jenny Pox" more teen or more horror?". Anna Dressed in Blood by Kendare Blake is another good example of a YA Horror. This is an example of a Historical Paranormal. 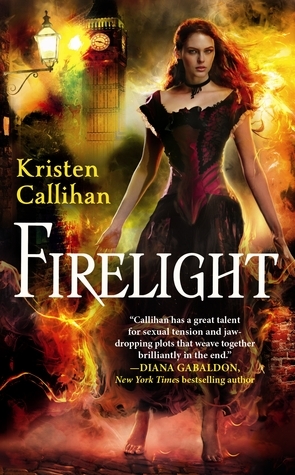 Firelight by Kristen Callihan is set in Victorian London. The heroine has a very dangerous and powerful ability and the hero is plagued by the consequences of a mystical mistake. Kiss of the Rose by Kate Pearce is also a good example. It's set in Tudor England where King Henry VIII's life is threatened by vampires and he must turn to Druids for protection. This is a genre that I enjoy but is not so common so I always have this weird sense of conflict when I try to place it. I guess creatures of the night are reserved for modern times (we'll just ignore the fact that the original Dracula was written and set in the 19th century). Alas, these books went into my Historical shelf. Horror Humor is a wee bit more uncommon and I imagine it's because telling a story that is both horrifying and amusing is a daunting task. 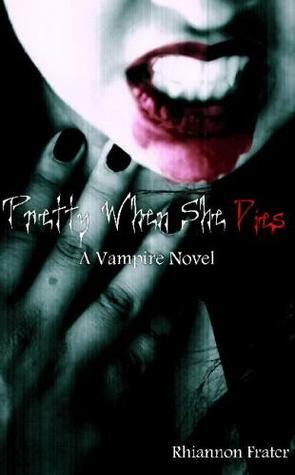 I personally haven't read Pretty When She Dies by Rhiannon Frater but I was told that it's gory, scary but also contains scenes that make you laugh. Another that I think would fit nicely into this genre is Shaun of the Dead. Most of you have probably seen the movie so you know that it's hysterical, but the zombies galore and gore qualify it as a horror as well. Oh, where do I even begin with this? So tell me, where in the hell do I file these? That's right, on the Sci-fi/High Fantasy/Paranormal/Dsystopian/Romance shelf...DUH! We all know what these mean and while they do seem like they'd be synonymous with each other, I don't think that's entirely true. A Post-Apocalyptic event is likely to lead to a Dystopian society but a Dystopian society can exist without having been created by a Post-Apocalyptic event. A fellow blogger and rockin' chick commented on our original post stating that she couldn't think of a Dystopian that was NOT the result of a Post-Apoc event but Delirium by Lauren Oliver, Divergent by Veronica Roth, and Matched by Ally Condie are good examples of just that. In those, a broken society is the result of people on power-trips or trying to "reorganize" society. My blogger pal said that she could, however, think of books that are Post-Apoc but NOT Dystopian which I'm not so sure of. In my opinion, a dystopian society is not just a people ruled by a corrupt government but can also be a people who live with no societal structure so in effect wouldn't Post-Apoc be a sub-genre of Dystopian? In these stories, a dystopian society is the direct result of a catastrophic event that negatively impacted society. Are there any other interesting "crossovers" you've encountered? Genres drive me insane, honestly some I just can't wrap my head around. Sometimes I know, sometimes I do not know. Allll the time. It's so hard to decide where certain books belong. To start. My brain is already in shambles cuz I'm towards the end of THIS IS NOT A TEST. Then, I read this post. My brain=demolished. I'm NOT so sure I agree on this whole dystopian/post apocolyptic portion. I think any society that is basically overthrown and corrupt in some way shape or form, all for the SAKE of CONTROLLING the people would be dystopian. I don't think any book would JUST be post-apoc but not dystopian. @Cass: I agree! That's why I feel that Post-Apocalyptic should technically be a sub-genre of Dystopian. 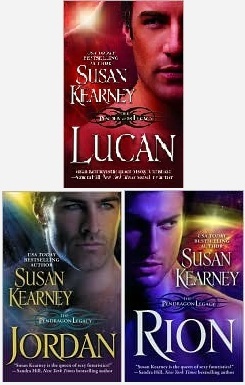 The Pendragon Legacy is a DOOZY (lol) and I shelved it with my other fantasy/romance books. I think that Post-Apocalyptic where no form of authority has yet been established would simply be post-apoc. I have seen books where it's right after the "event" and it's the formation of some kind of world afterwards. Completely different in my mind. What an awesome post. thanks for the classification. OMG! You're making me thiiiiink today. Okay. Examples of Post-Apoc books that aren't Dystopian. Gone by Michale Grant. 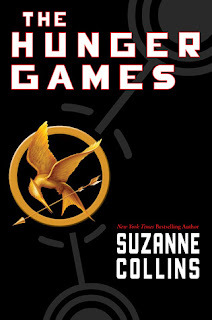 Although there are leanings toward the end of the book that might lead to a Dystopian society, the bulk of the book focuses on the kids trying to survive. I haven't read the rest of the series, so it could very well veer toward Dystopian later on but that book in particular doesn't. Joss Ware's The Envy Chronicles. Set after a major cataclysmic event, the society functions well there's just some VERY BAD MEN who want to destroy what they've built. Oh, and there are zombies! And... there are more. I know there are. I just can't think of them. Lol! 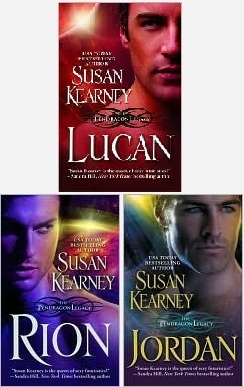 I think Jeaniene Frost lands quite nicely in the middle of Urban Fantasy and Paranormal Romance. I always think of her as crossover. And so much more that I can't think of right now...sorry I'm no help today! The Walking Dead is clearly post apoc, there is no dystopia to that. So much work and effort in this post, Isalys, impressive! What you need to have in place for a dystopia is the illusion of a perfect society. They are not, generally, survival stories like post-apocalyptic novels are, in the physical sense. They are survival stories of the spirit, the will, the individual personality. Because in order for a utopia to exist, you have to eliminate the individual, which is why utopia's don't really work and why they turn into dystopias. It's fascinating isn't it. Does that make sense? Both post-apocalyptic fiction and dystopian fiction are sub-genres of general fiction/literature, and sub-genres of science fiction and sometimes fantasy. You could also call them Speculative Fiction. Okay, this is hysterical, because I disagree about the Dystopian/Post-Apocalyptic comparison as well. I consider Post-Apocalyptic fiction as taking place soon after the apocalypse and before the dystopia has formed.